Your young Trojans fan will be able to keep the sun out of their eyes while competing on the practice field when wearing this Training Camp hat from Nike! Made from featherlight breathable tight weave mesh fabric this hat is the perfect sports accessory to keep a cool head. It features a raised embroidered team logo on the front embroidered Nike logo on the brim and team-colored mesh side panels. Get your future alum’s head in the game when you outfit their team spirit with this Flex team hat from Nike! It features an all-over tight weave mesh material embroidered team logo on the front and back team color front side panels and a sturdy brim. Your young fan will be able to cheer on their Trojans to victory in style while keeping cool on the sidelines! Your young fan will distract the competition with a last minute style switch-up when they pump up the volume on their Trojans pride in the Audible One-Fit cap from Top of the World. Featuring the school wordmark and a runoff logo graphic embroidered on the crown with another school wordmark embroidered at the back this cap will be sure to catch the competition off guard! Aim for your youngster to be the best-looking USC fan in this Wishbone adjustable cap from Top of the World featuring a 3D embroidered school wordmark on the crown a team school logo tag by the team-colored adjustable plastic snap strap a dark contrast color bill and four back mesh panels. 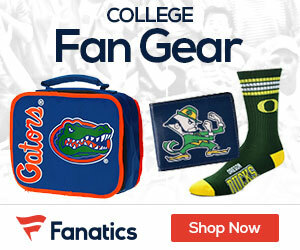 It’s great for showing off a little casual team pride without having to style your young fan’s hair! Get your little one on the right track with this adorable USC 1Fit hat from Top of the World!! Give your young fan old school Trojans style with this vintage washed Trucker hat by Nike! Featuring a 3D embroidered team name on the crown with garment-washed fabric a mesh back and distressed details on the bill this hat packs a punch of throwback pride for only the most intense fans!